Sunderland have been successful in overturning the red card received by Chris Maguire during the latter stages of Saturday’s 1-1 draw at home to Luton. The goalscorer was dismissed by referee Lee Probert for a lunging challenge on Alan McCormack in stoppage time at the Stadium of Light. 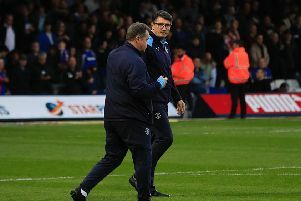 It was the official's second sending off of the game, as he had also shown red to Luton striker Danny Hylton, but Town opted against appealing that decision due to the evidence being 'inconclusive'. Hylton will now sit out the next four games, while Maguire will be available for Saturday’s game against Scunthorpe United. The FA stated: “A claim of wrongful dismissal regarding Sunderland AFC’s Christopher Maguire has been successful following an Independent Regulatory Commission hearing today. "The player was sent off for violent conduct during the game against Luton Town on Saturday."